Planning and evaluation are essential to our success, and in order to create good plans and evaluate ourselves in a meaningful way, we need your help. Public support and citizen engagement are crucial, and your feedback is a valuable part of our planning process. We invite you to get involved in your Park District, review our planning and evaluation documents, and if you have any ideas, suggestions, or questions, please do not hesitate to contact us. 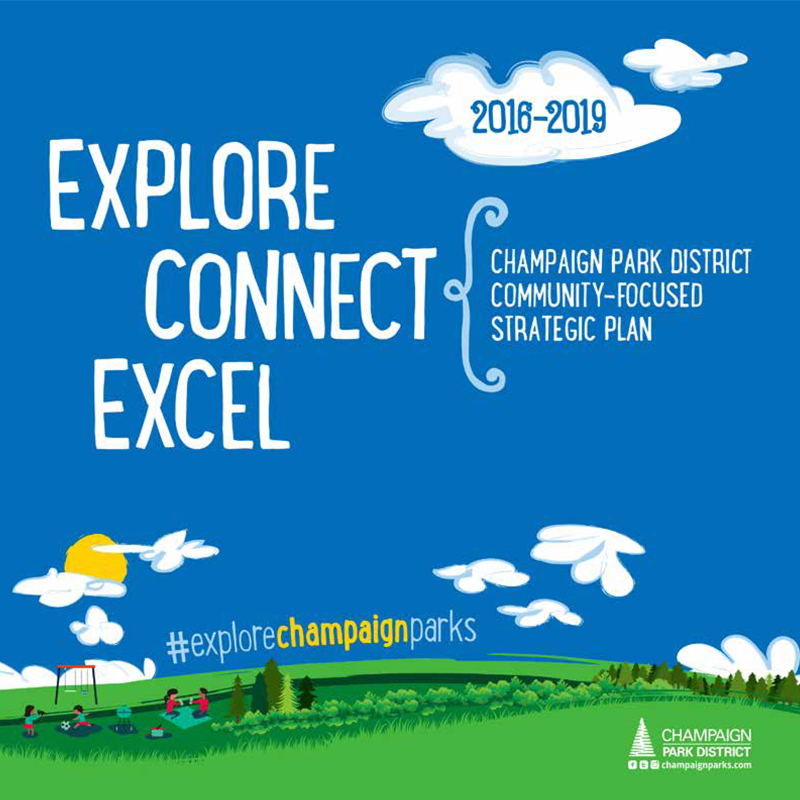 The Champaign Park District Strategic Plan 2016-2019 provides direction and a planned approach for the mission, vision, key strategies, goals, and processes for the District to be more effective and efficient in the pursuit of excellence. The plan reflects the District’s increasing responsiveness to our residents and provides the District with the direction to channel resources that yield the greatest benefit to resident taxpayers, program participants, constituents, and guests. For questions, please contact Joe DeLuce or call 217-819-3821. 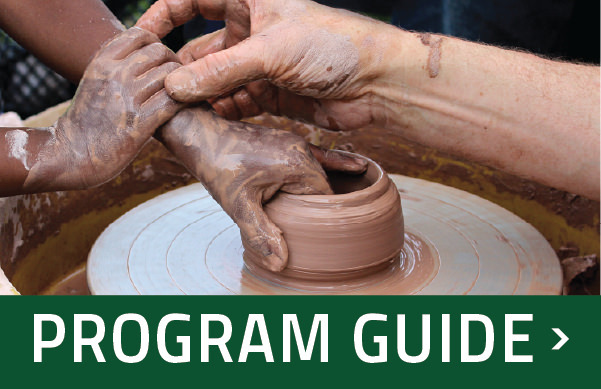 In 2019, the Park District produced the Comprehensive Plan to guide planning, programming, staffing, operations, and capital outlays throughout the next ten years. The Comprehensive Plan identifies strengths and weaknesses of the Park District while setting forth general guidelines and benchmarks for forthcoming strategic plans and master plans. The final result is a set of agency initiatives that identify desired future outcomes for the Park District and help steer future planning decisions and documents. For questions, please contact Joe DeLuce or call 217-819-3821. In the spring of 2014, Champaign-area residents were asked to participate in an anonymous online public perception survey. The survey included questions about parks, facilities, events, programs, effective marketing avenues, the website, online registration, and overall public perception. The purpose of the survey was to provide actionable information for programming, marketing, and technology staff. Although the sample size was not large enough to provide generalizable results, staff used the information as one of many data points to guide improvements to the District’s website, streamline the online registration process, and address program strengths, weaknesses, and needs. Leisure Vision/ETC Institute conducted a Community Survey on behalf of the Champaign Park District during the winter of 2011-2012. The purpose of the survey was to help establish priorities for the future improvement of parks and recreation facilities, programs and services within the community. The survey was designed to obtain statistically valid results from households throughout the Champaign Park District. The survey was administered by a combination of mail and phone. For questions, please contact Joe DeLuce or call 217-819-3821. In 2011, the City of Champaign and the Champaign Park District partnered to create a Trails Plan for the community. The purpose of the Trails Plan is to provide a vision for a connected system throughout the community. The plan also sets clear expectations for where trails should be built and to what standard. The plan will influence the site design of development, provide direction for public works projects, and be a resource in applying for grant funding for new trail segments. Most importantly, the plan provides a common vision that can be supported and promoted by the broader community. For questions, please contact Andrew Weiss or call 217-819-3822. In 2011, Champaign Park District Planning Department staff assisted in the creation of the City’s Bristol Park Neighborhood Plan. The Bristol Park neighborhood is located on the city’s north side between Neil Street and the Canadian National Railroad and Bradley Avenue and Interstate 74. The communities of Shadowwood, Bristol Park and Garwood all comprise the Bristol Park neighborhood. The neighborhood plan contains goals related to community development, land use, public safety, parks and open space, and transportation. For questions, please contact Andrew Weiss or call 217-819-3822. In 2010, and as part of our ongoing strategic planning process, the Park District contracted with Architectural Expressions, LLP to evaluate the upgrade potential and expansion capabilities of each Park District facility. This study was conducted in two phases. Phase I assessed each existing facility and looked specifically at program-revenue relationships, trends in developing theme centers, redundancies, building difficulties, and future needs. Phase II explored the Park District’s options to expand and upgrade existing facilities, spaces, and services, and examined the need for constructing a new recreation center. This study informed the design and construction of the new Leonhard Recreation Center which opened in 2014. For questions, please contact Andrew Weiss or call 217-819-3822. Using both internal and external participation, we evaluate our facilities to ensure standards and guide our future needs. We use the information we gather from to make recommendations for future years. For questions, please contact Chelsea Norton or call 217-819-3843. Three times a year Park District staff conduct evaluations of our programs and events to ensure effective, efficient, and high quality services. Community participation in our program evaluations is crucial to our success! Program coordinators and event planners use the information we gather from participants to make recommendations for future years, to change program content and scope, and to retire programs that have run their course. Staff enter program evaluation data into a standardized program evaluation report that is shared with leadership. For questions, please contact Chelsea Norton or call 217-819-3843. Champaign Park District staff provides the Executive Director with strategic plan progress updates several times a year. If you have any questions about the progress or status of items listed in our Vision 2020 Strategic Plan, please contact Joe DeLuce or call 217-819-3821 and we would be happy to provide you with more information. Provide input that enhances the District’s financial plans over the next 1-3 years.